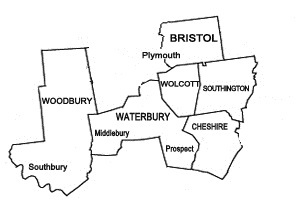 Wolcott Sanitation Services LLC provides septic system inspections in Connecticut, with an emphasis on Wolcott, Southington, Cheshire, Terryville, Thomaston and Bristol. We inspect the septic tanks both before and after pumping to be sure everything is working at peak efficiency. Our septic inspection process begins with the use of a video camera that is sent into the septic tanks to view the condition of the tanks. This allows for our technicians to thoroughly inspect the system to ensure there are no hidden problems lurking inside the tank. We measure the thickness of the sludge to determine if it is at the normal level or whether there are underlying problems leading to excess sludge buildup. The level of sewage in the septic tank is a good indication if the drain field is working properly or potentially becoming clogged. Once we complete the tank inspection, we pump out the system and re-inspect the empty tanks. This helps us to locate any cracks or damage to the tanks that was not visible prior to pumping them out. 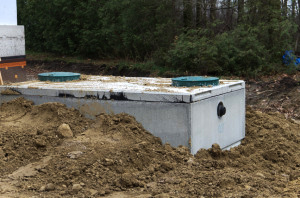 The condition of the septic systems’ holding tank impacts the overall effectiveness of the septic system. Next, we will inspect the soil around the tanks to be sure there are no sink holes that may be caused by cracks or broken areas of the underground tanks. Finally, we do a complete inspection of the leach field to make certain the household waste system is working properly.